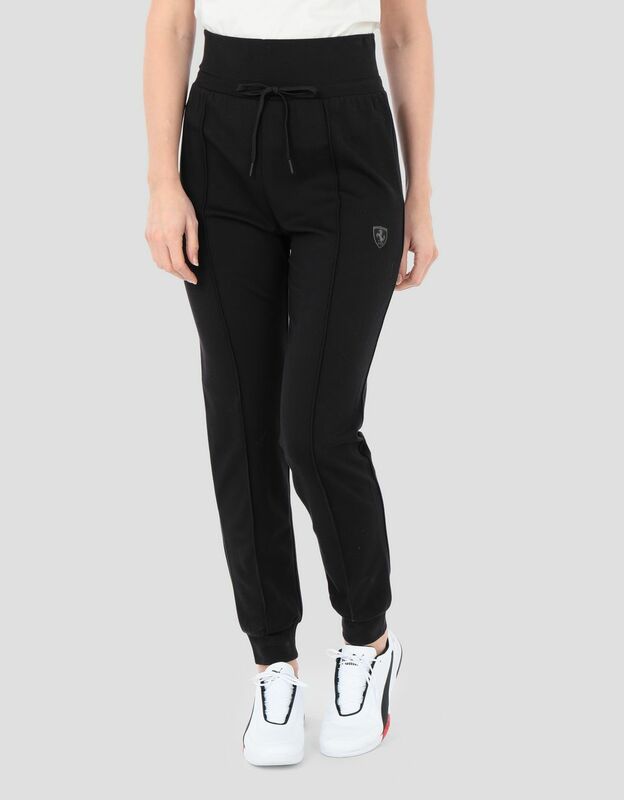 The Scuderia Ferrari joggers made of soft Milano ribMilano rib is a type of jersey fabric that stands out for its soft texture, as well as for the fact that it is suited to a variety of silhouettes, adapting to numerous fits. 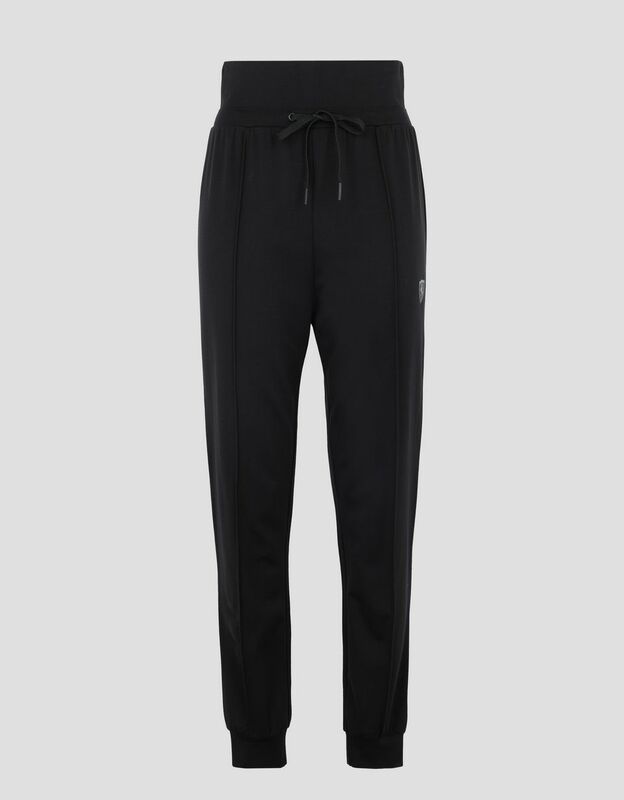 feature an original pressed pleat. 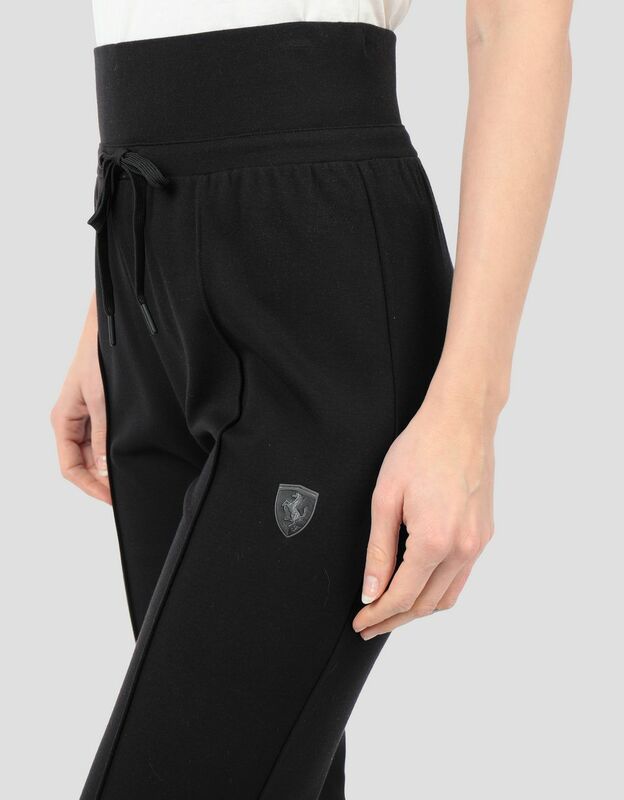 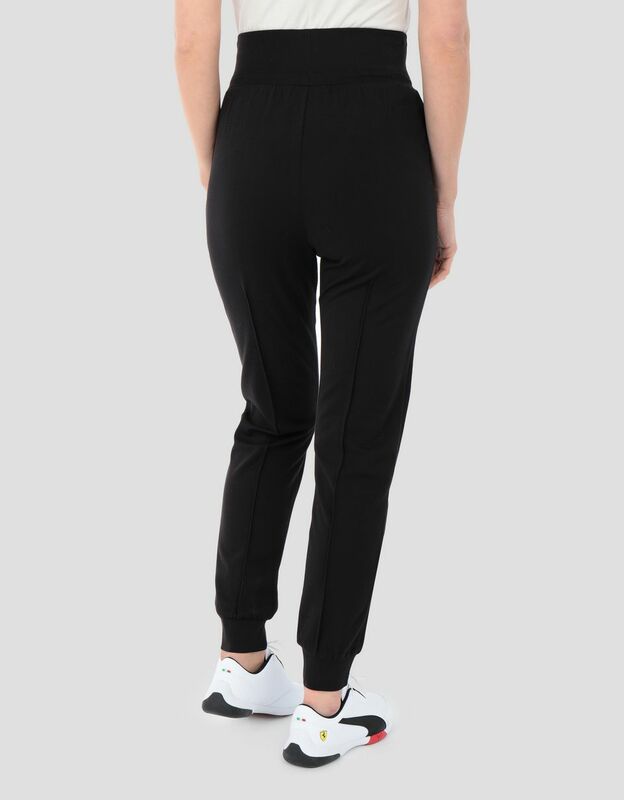 Designed to give comfort during workouts, but also perfect for urban looks, the Scuderia Ferrari joggers are elevated by the central pleat on the leg. The elastic waist with drawstring ensures an optimal fit. 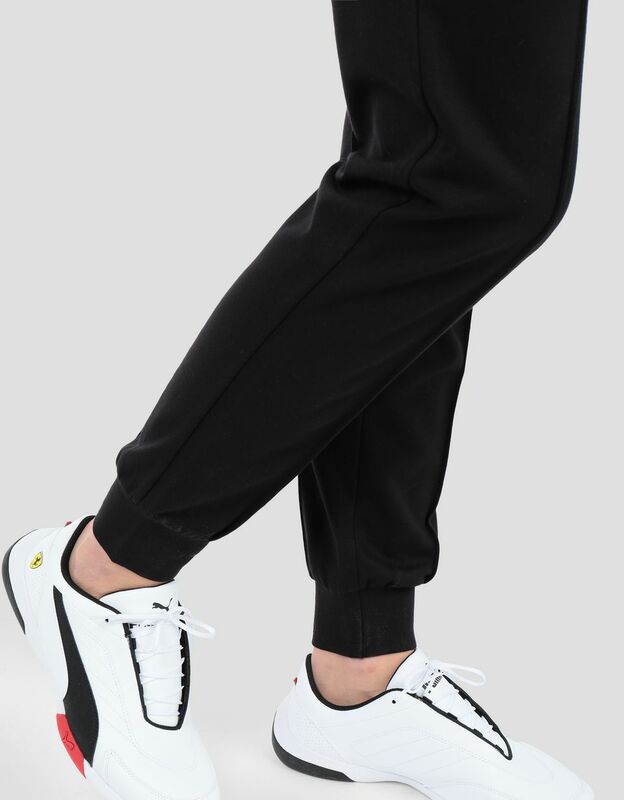 They also showcase distinctive details, like the elastic ankle cuffs and the iconic Shield in black on the front.